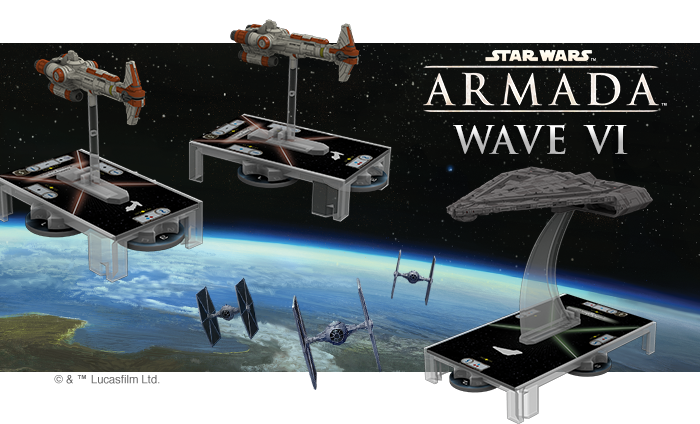 Star Wars: Armada Wave 6 Available Now! The sixth wave of expansions for Star Wars: Armada is now available! Comprised of the Imperial Light Carrier Expansion Pack and the Hammerhead Corvettes Expansion Pack, Armada Wave VI hits far above its weight class with its surprisingly potent star ships and an array of upgrades focused on close-quarters combat. Imperial players gain a medium-base ship that elevates their squadron game to new heights, making it easier than ever to wipe out Rebel fighters with your TIE swarms. More than this, the Quasar Fire-class cruiser-carrier even makes it possible for your TIE swarms to chew through your opponents’ ships’ defenses, leaving them completely vulnerable to the thunderous volleys of lasers and missiles unleashed by your Star Destroyers. 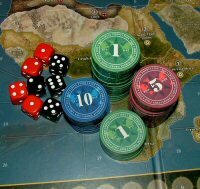 And the ship itself is no slouch either; it can even equip and discard a set of Disposable Capacitors to surprise opponents with heavy volleys of red and blue dice from long range.